A startling novel, all the more compelling because its tale of unimaginable human endurance is true, The Revenant unfolds the toll of envy and betrayal as well as the powers of obsession and vengeance in the battle of fur trapper Hugh Glass, first for his life and then for justice. It is 1823, two decades after the famous expedition of Lewis and Clark into the American wilderness, when thirty-six-year-old Hugh Glass joins the Rocky Mountain Fur Company in a speculative venture that takes him and ten other men up the Missouri River into perilous, unexplored territory. Not least among the dangers that await the trapping party is a natural killer, the grizzly bear, as Glass disastrously discovers. Attacked and savagely mauledhis scalp nearly torn off, his back deeply lacerated, his throat clawed openGlass is lying unconscious when his fellow trappers find him. Against all odds, he is still drawing breath three days later. Anxious to proceed unencumbered by the portage of Glass’s mortally wounded body, the captain of the expedition pays two volunteersJohn Fitzgerald, a mercenary, and young Jim Bridger (the future legendary mountain man)to stay behind and bury Glass when his time comes. Fitzgerald soon loses patience and leaves, taking Glass’s rifle. Horrified by Fitzgerald’s thievery but more terrified of being left behind with a dying man, Bridger also leaves, with Glass’s knife. Deserted and defenseless, the profoundly angry Glass vows his own survival. Miraculously trekking his way through two thousand miles of uncharted wilderness, Glass indeed becomes a revenanta man who has returned vengefully from death to balance the scales of justice. His quest will leave readers breathless. 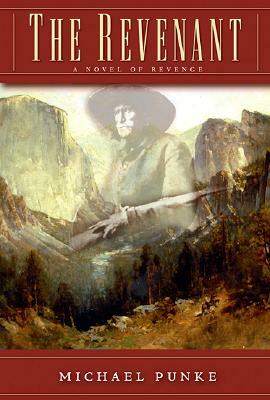 This amazing true story of frontiersman Hugh Glass is a powerful debut novel -- and soon-to-be Warner Bros. film -- of survival and vengeance in America's West.